Shepshed is surrounded by beautiful countryside. Charnwood is a borough of northern Leicestershire, England and is named after Charnwood Forest which it contains. 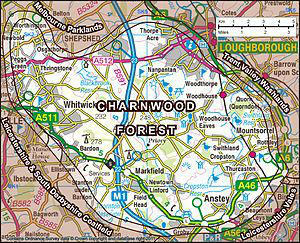 Charnwood Forest covers approximately 173 sq km (67 sq mi) of Leicestershire and is bounded by Leicester, Loughborough and Coalville. The area is undulating, rocky and picturesque, with barren areas. Many of the craggy rocks are volcanic and are very old, dating back 600 million years to Precambrian times. The hard stone of Charnwood Forest has been quarried for centuries and was a source of whetstones and quern-stones. 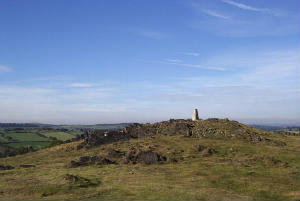 The granite quarries at Bardon Hill, Buddon Hill and Whitwick are of national importance. This area contains some of the oldest fossils and rocks found in Britain. 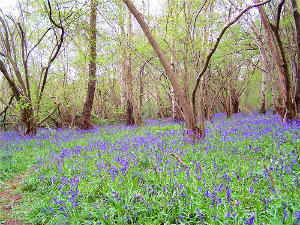 The Forest is an important recreational area with woodlan walks, noted for their displays of bluebells in the early spring, rock climbing and hillwalking. 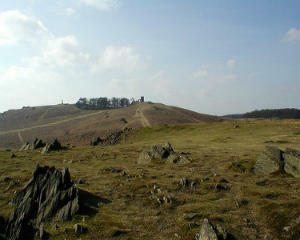 Popular places with public access include Bardon Hill, Beacon Hill, Bradgate park, Swithland Wood, and the Outwoods. Archeological evidence has shown that Beacon Hill is the site of a Bronze Age hill fort dating from between 600BC - AD43 while Bradgate Park dates from at least the 13th Century and has herds of red and fallow deer which roam freely. The park was the home of Lady Jane Grey who was 'Queen for Nine Days' before losing her crown and head to Mary Tudor. Charnwood Forest also has some extensive tracts of woodland. On its western flank lies an abandoned coalfield, now being regenerated and replanted as part of the National Forest. The M1 motorway between junctions 22 and 23 cuts through Charnwood Forest. Shepshed is also within easy reach of Groby Pool, St Bernard's Abbey and the waterways at Zouch. Nearby are Bradgate Park, Swithland Woods and The Outwoods and other beautiful areas well within reach for walking or just enjoying the views.